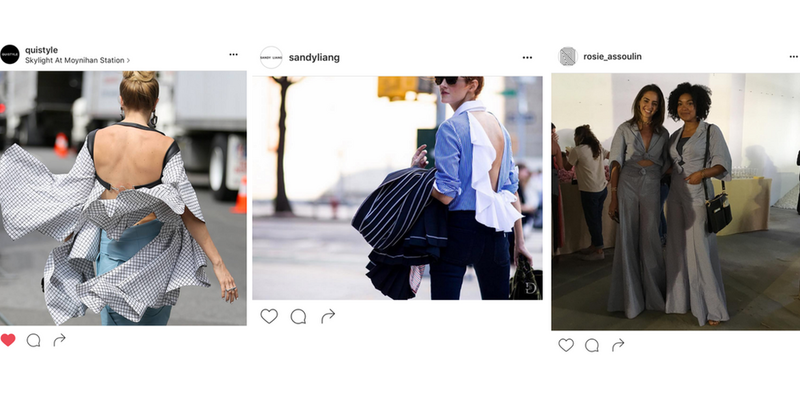 If you’ve scrolled through Instagram even once in the past month, surely you know it’s Fashion Week. And by “Fashion Week,” I mean Fashion Month. From New York to Milan, the past few weeks have produced an interesting forecast for the coming seasons. One trend in particular (that's actually been around for seasons) is consuming creative industries as a whole. The maximalist trend is here, and it’s ready to change the entire shape of modern style. The skinny jean has reigned supreme for the past 10+ years, on the ankles of fashion editors and mall-goers, alike. Bandage dresses are still making their way downtown, but quickly filtering out of nightclub scenes. Sure, the bodysuit has replaced this skintight staple, but it comes with a catch. The super-tight, top-to-bottom silhouette is soon to be passé, and the fashion industry has offered a dramatic flare in its place. The maximalism trend is especially interesting since it works in tandem with what would seem to be its exact opposite: minimalism. The current minimalist push from artists, designers and just plain ol’ cool-kids is undeniable. Contrary to what you’d think, the two actually go hand-in-hand. How so? It’s simple – the need for contrast. Minimalism needs the contrast of maximalist shapes to truly be minimalist, and vice versa. Minimalism and maximalism don’t contradict one another. They enhance one another. Like most trends, this dynamic combo doesn’t just pertain to fashion. Pretty much every artistic industry is having a moment with scale. Whether it be large vs small or loud vs quiet, creatives around the globe are pushing drama with a balance. From graphic design to interiors to sound, it’s all about contrast. And if you don’t believe me, just look at Instagram feeds these days.